Walnut is the most beneficial nut food among all the nuts. Walnut is preferred and good to everyone. Due to many vitamins, it is also called the King of Vitamins. In addition to proteins in nut, nutrients such as calcium, magnesium, iron phosphorus, copper, selenium are found. They are very beneficial for hair and skin. Along with this, omega 3 fat acids contained in it protect the body from diseases such as asthma, arthritis, skin problems, eczema and psoriasis. Its food or dishes also have many benefits from eating. Today we will tell you about the benefits of walnut which will change your thinking about walnut. Walnut is helpful in controlling weight. By consuming it daily, weight can be easily reduced. Those who are upset with increasing weight should eat nut every day. By eating continuously walnut, you will see the difference in a few days. For those who do not sleep even after working for the whole day, the nut works as a remedy for them. The body relaxes by eating 1 or 2 walnuts before sleeping at night. It gives a good sound sleep. The antioxidant found in it serves the heart. Consume a few walnuts every day to lower blood pressure and bad cholesterol in your body. This also boosts good cholesterol production and benefits your heart. Diabetics should eat daily walnuts regularly. Eating it gives relief from diabetes type 2. It is good for polyunsaturated and mono-fat health. 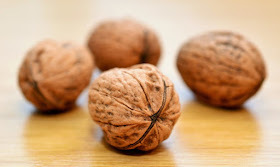 Consuming walnut regularly helps in curing diabetes. Nowadays, 4 out of 5 people suffer from depression, which means depression. By taking nut, depression provides relief to a great extent. A recent survey showed that consumption of walnuts reduces stress levels. By eating this blood pressure is controlled and the body gets enough energy. Walnuts are also called Brain Food. By consuming it, their brain gets energy. Even if the condition is low, nut consumption is beneficial. Works as a nut drug to increase memory power. By eating nut, you will start seeing the difference in a few days. The nutrients present in it work to clean the stomach. It eliminates the problem of constipation, indigestion and acidity. By consuming it daily the digestive system is strong. Pregnant women can get many benefits from consuming walnut every day. Walnut has Vitamin B complex like folates, riboflavin and thiamin. These are essential for women during pregnancy for the health of the foetus. Walnuts are best known to boost immunity. Walnuts contain good amounts of antioxidants to keep the immune system healthy and protect it from many diseases. Add few walnuts to your daily diet to stay fit and improve your immunity naturally. Walnuts are filled with B-vitamins, which are very good for our skin. Vitamin B manages stress and lowers stress levels. High stress levels creates wrinkles and lead to faster ageing. B-vitamins, along with Vitamin E known as a natural antioxidant, can fight free radicals that induce stress. Walnuts can delay the process of ageing. You will feel young if you take walnut regularly. Walnut is the best source of potassium, Omega 3 and 6, and also Omega 9 fatty acids. These ingredients help in strengthening the hair follicles. Apply walnut oil regularly to get stronger, healthier, longer and shinier hair. Walnut oil also cures dandruff and keeps scalp hydrated, so reduces hairfall and dandruff. It is good to eat nut for a healthy and long life. Its regular consumption increases the life span. It keeps life alive with energy. So take walnut regularly in your diet and feel a new energy and enthusiasm in your life. For any questions or suggestions please write in comment box. Thanks. It is very healthy for diabete and, of course, depends on their diet and treatment.